Fans finally got to see their favorite heroes come together in the most recent Justice League trailer, but Zack Snyder managed to work in a few easter eggs for longtime comic fans as well. A new one has surfaced, featuring the amazon warrior herself. Twitter user Matches Malone posted two images with the caption "I love Zack and his homages. #WonderWoman #JusticeLeague". The first is from a brief scene where Gal Gadot's Diana is seen in a white dress next to a striking statue. Her hand is tilted towards the statue's head, which bears an uncanny resemblance to the cover of Wonder Woman #36 Vol. 1. The story is titled "The Girl Who Saved Paradise Island", and on the cover Wonder Woman is polishing the statue that reads "Queen Astra Amazon Hall of Fame". Her hand and elbow are in almost the exact same position as Gadot's in the trailer. Snyder always loves to recreate comic panels, and he does have a talent for it. 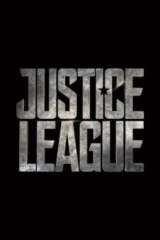 Justice League is directed by Zack Snyder, from a screenplay by Chris Terrio, and features an ensemble cast that includes Ben Affleck (Batman), Henry Cavill (Superman), Gal Gadot (Wonder Woman), Ezra Miller (The Flash), Jason Momoa (Aquaman), Ray Fisher (Cyborg), Ciarán Hinds (Steppenwolf), Amy Adams (Lois Lane), Diane Lane (Martha Kent), Jeremy Irons (Alfred Pennyworth), J.K. Simmons (Commissioner Gordon), Amber Heard (Mera), Kiersey Clemons (Iris West) and Jesse Eisenberg (Lex Luthor). DC and Warner Bros. have a full slate ahead, with åTeen Titans: The Judas Contract coming first on April 4, 2017. After that it's time for Wonder Woman on June 2, 2017, followed by Justice League on November 17, 2017. The Batman is expected sometime in 2018, with The Flash debuting on March 23, 2018. Aquaman is set for October 5, 2018, and Nightwing's solo feature is due sometime in 2019.